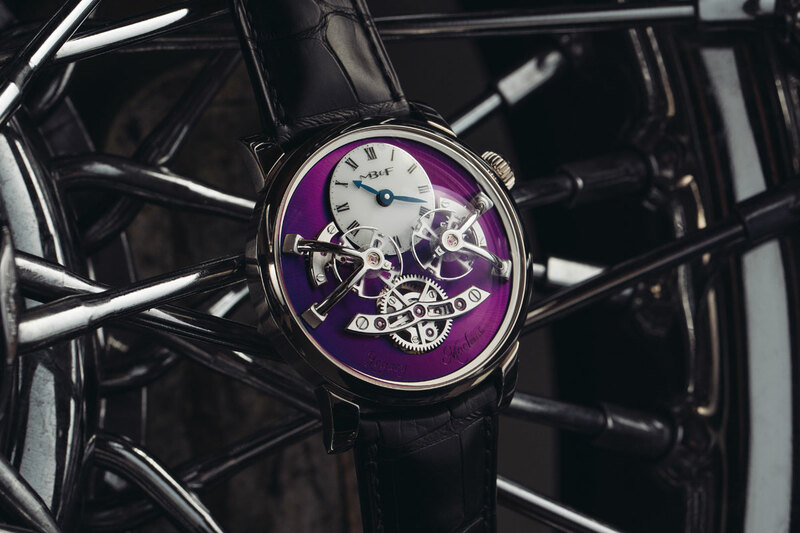 MB&F is now introducing the Legacy Machine N. 2 (LM2) White Gold Purple, a 12-piece limited edition characterized by a colour which is pretty unconventional in watchmaking. Some watchmakers avoid using purple for dials because the colour changes a lot depending on the light, from purple to blue to green. 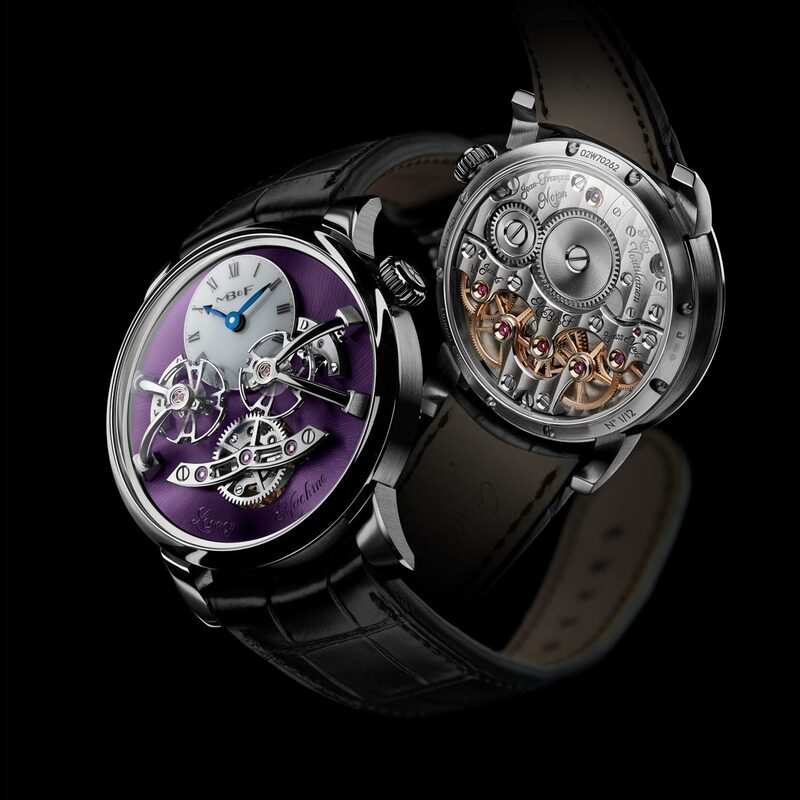 But for MB&F, and we agree, this is a plus which adds appeal to the timepiece. 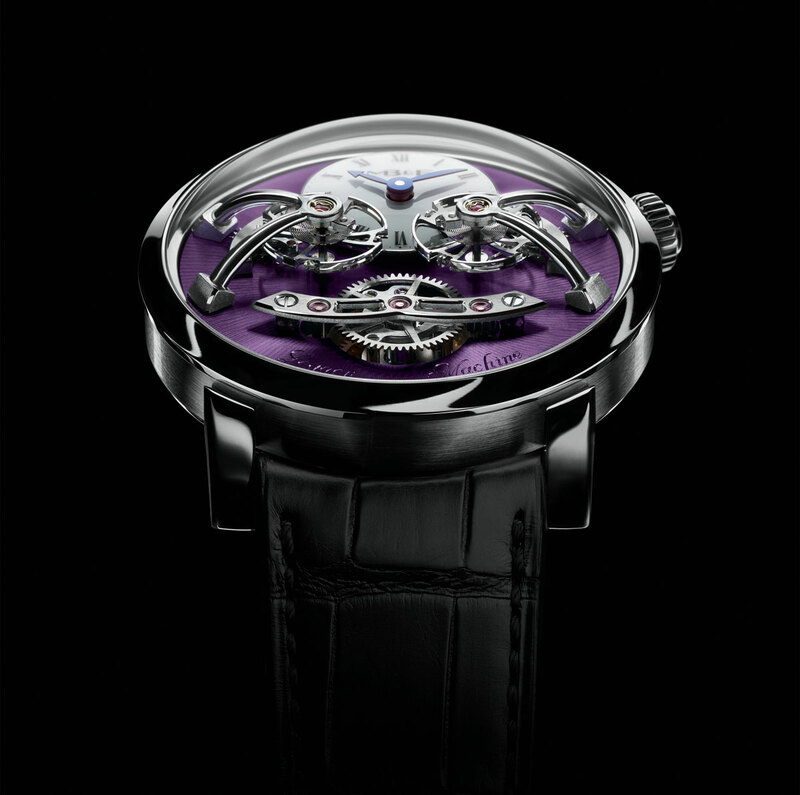 This eye-catching purple dial offers perfect symmetry. The white stretched lacquer sub dial at 12 o’clock, with its blued gold hour and minute hands, is visually balanced by the large, raised differential at 6 o’clock. And, from left to right, the two flying balances and their escapements are identical mirror images, right down to the position of the stud holders pinning their balance springs. The large planetary differential has three roles: 1. Transferring power to each of the regulators; 2. Receiving the individual timing rates from each balance; and 3. Transmitting the average rate of the two regulators to the gear train, where it finally manifests itself as the displayed time. 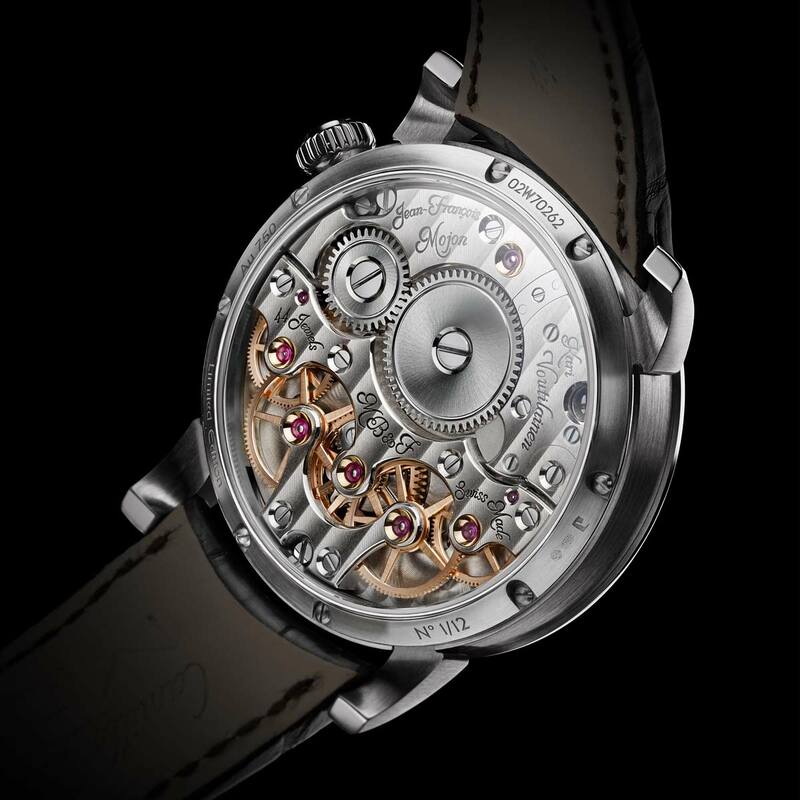 Housed in a 44 mm white gold case with a total thickness of 20 mm, the hand-wound movement of the LM2 beats at a frequency of 2.5 Hz (18,000 vibrations per hour) and offers a power reserve of 45 hours. 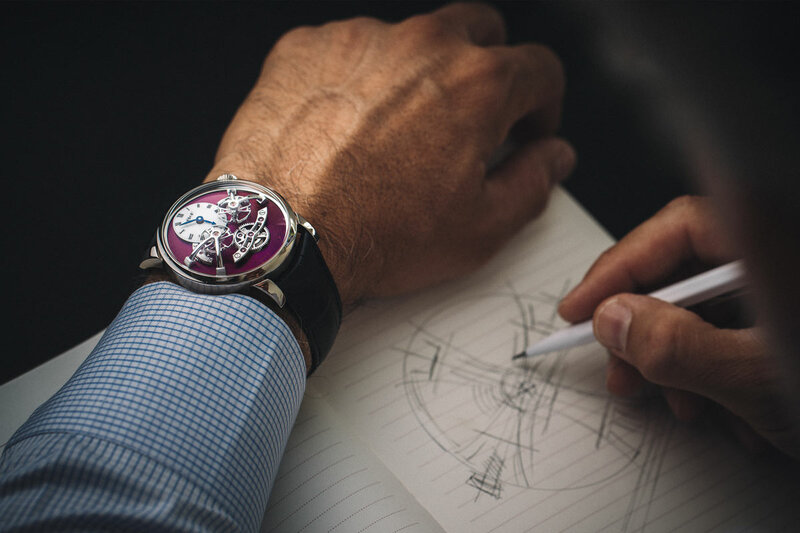 Matched to a hand-stitched alligator strap with a white gold folding buckle, the MB&F LM2 White Gold Purple has a retail price of Swiss Francs 148,000 plus local taxes. 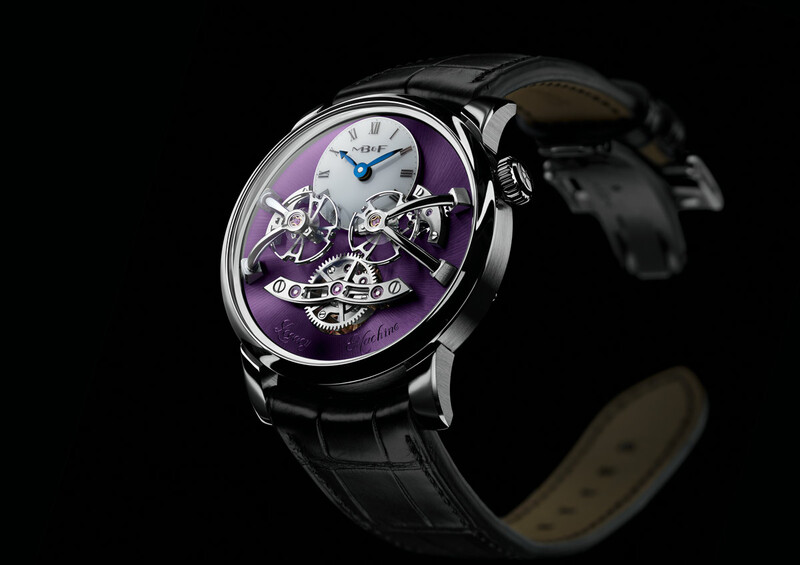 Thought this is not one of the most expensive watches in the world, MB&F is one of TOP 25 luxury watch brands for men.